As tensions continue to mount in the region, so does the need for a weapons of mass destruction (WMD) free zone in the Middle East. Forty years after such a zone was first proposed, the need is as urgent as ever. The disastrous civil war in Syria rages on, foreign military intervention in Iraq and Libya has resulted in upheaval and further violence and there is no settlement in sight to the conflict between Israel and Palestine. 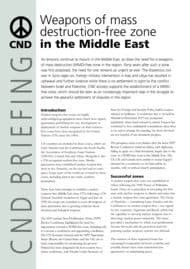 CND actively supports the establishment of a WMD-free zone, which should be seen as an increasingly important step in the struggle to achieve the peaceful settlement of disputes in the region. Five nuclear weapons free zones covering groups of countries have been recognised by the United Nations since the 1960s. These are geographical areas which have signed agreements banning the use, development or deployment of nuclear weapons on their territory. 115 countries are included in these zones, which are Latin America Caribbean, the South Pacific, the ASEAN region, Central Asia and Africa. Mongolia is also a UN-recognised nuclear free zone. Similar agreements have established Nuclear-Weapon Free Areas in the Antarctic, on the Sea-Bed and in Outer Space. Nuclear Weapons-Free Zones are highly successful forms of collective security across large parts of the world, including almost the entire southern hemisphere. There has been discussion on establishing a nuclear weapons free Middle East since Egypt and Iran tabled a UN General Assembly resolution calling for this in 1974. In 1990, the scope was extended to cover all weapons of mass destruction due to the growing concerns about chemical and biological weapons. The 2010 nuclear Non Proliferation Treaty (NPT) Review Conference highlighted the need for negotiations towards a WMD-free zone. 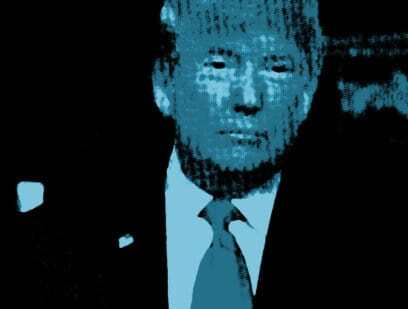 The conference’s final document identified five steps necessary to achieving the goal of establishing a WMD-free zone in the Middle East, including convening a conference and appointing a facilitator. Finland has been designated the host country for a conference, with Finnish politician Jaakko Laajava selected as facilitator. A planned conference due to be held in Helsinki in December 2012 was postponed indefinitely. Since then, Laajava has continued to host multilateral consultations to try and re-arrange the meeting, most recently in February 2014. Those present at this meeting were not hopeful of any imminent progress. The European Union and the United Stes have repeatedly reaffirmed their support for establishing a WMD-free zone. Russia and Turkey’s foreign affairs ministers have also published a joint statement, urging all countries in the Middle East to participate in the process. In the Treaty of Pelindaba which established a nuclear weapon free zone in Africa, South Africa set a precedent on becoming the first state with nuclear weapon capabilities to enter into a NWFZ. The Treaty of Tlatelolco (South America region) included two treaty members, Argentina and Brazil, with large nuclear power industries with the capability of developing nuclear weapons. But the treaty provided a mechanism by which non-proliferation became the norm and the perceived need for pursuing nuclear weapons systems was defused. The creation of these regional forums has encouraged cooperation between countries and possible threats have been transferred into agreements on maintaining peace. There are of course significant obstacles to overcome before a similar zone can be established in the Middle East. Talks have been ongoing for decades but with no concrete results, due to deep-rooted disagreements between some countries in the region. Hostility between Israel and Palestine continues, with faltering progress on a two state solution. Israel is the only country in the region to possess nuclear weapons. Although the government does not confirm or deny this fact and has not signed the NPT, it is estimated that they have 80 intact nuclear weapons. Many Arab states do not recognise Israel, which is a major obstacle to securing a region-wide agreement. Israel has joined the ongoing discussions, even though it has repeatedly stated that establishing a WMD-free zone would need to be agreed in the context of a broader Middle East peace plan. There are also concerns over Iran’s nuclear ambitions, but recent talks on Tehran limiting aspects of its nuclear development programme in return for an easing of sanctions should provide some confidence in the possibility of a wider agreement. The civil war in Syria has contributed to the instability of the region. Since 2011 the fighting has divided loyalties in the region, for example Iran is backing Syrian president al-Assad while Saudi Arabia became the first Arab head of state to condemn him and his government’s actions. Over ten years since the invasion of Iraq, deep problems remain in a country which has been economically and physically devastated. Another complicating factor is that Turkey hosts US nuclear weapons on its territory. Overcoming these significant obstacles will require a lot of diplomatic work. But the benefits to the Middle East and the rest of the world would be huge. Nuclear weapons are horrific weapons of mass destruction that threaten the lives of millions of the world’s population. Steps towards ensuring this most volatile of regions is free of all weapons of mass destruction must surely be a priority for the international community. Policymakers and the public in the region would do well to look to the African and Latin American examples. They demonstrate how regional security can be far more effectively achieved through co-operative, transparent and rigorously verified security frameworks. Every country in the region apart from one has signed the NPT, a positive start in establishing a WMD-free zone. CND calls on the British government to promote sustained and sincere dialogue without preconditions between the countries of the region. The UK should take more effective measures in UN and NPT forums to promote a WMD-free zone. A WMD-free zone could represent a significant step towards global disarmament and completely transform security relations within one of the world’s most unstable regions. A nuclear weapons free Middle East is central to the fight for a just, peaceful and stable region and a crucial component in the struggle for a nuclear weapons free world.